Soft flakes of sea salt are buried deep within this beautiful Rio Caribe milk chocolate, adding a savoury crunch to the heavenly creaminess. This chocolate makes a wonderful gift for any chocolate lover. Willie’s life passion is chocolate and what he loves, we love. 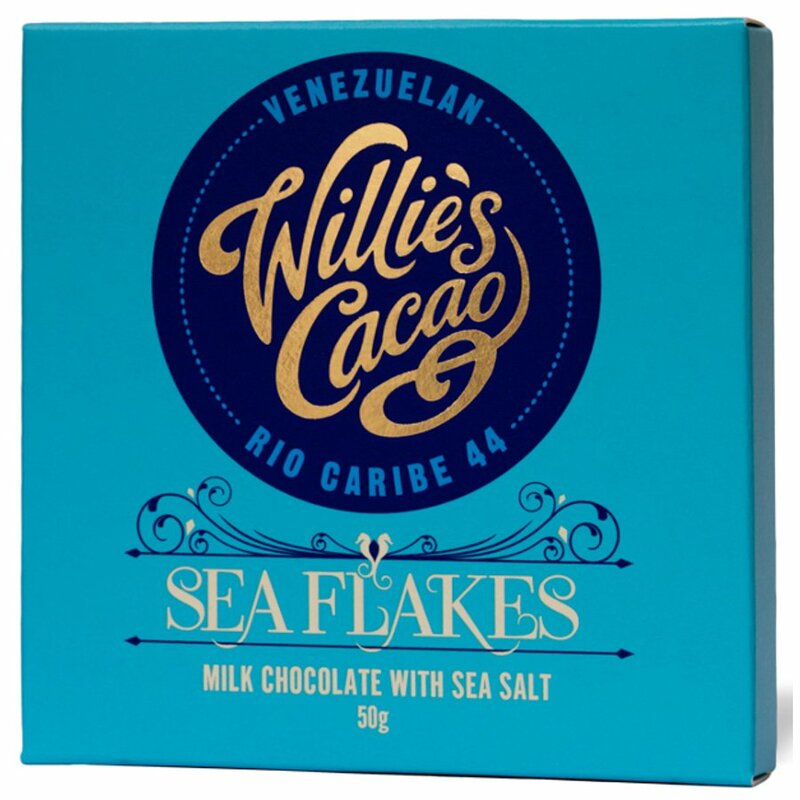 The Willies Cacao Sea Flake - Milk Chocolate with Sea Salt Bar - 50g product ethics are indicated below. To learn more about these product ethics and to see related products, follow the links below. A pleasure in every way; both the packaging and the flavour. The saltiness is subtle and the chocolate creamy. Absolutely yum!